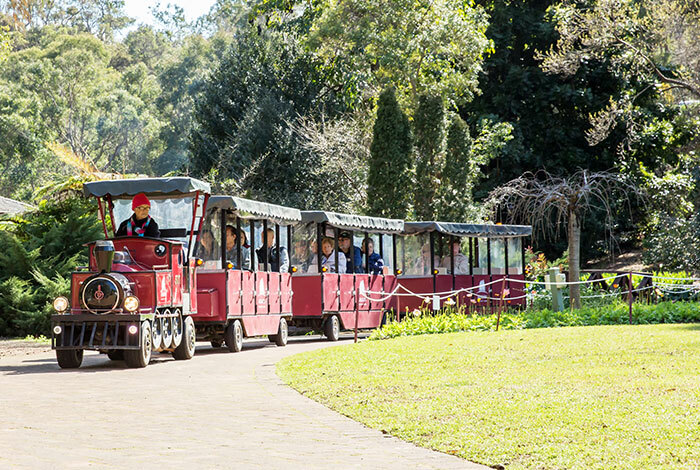 Nestled amongst the Perth hills and its iconic Australian bushland is the Araluen Botanic Park; a breathtakingly beautiful park that is situated within an equally as charming setting. 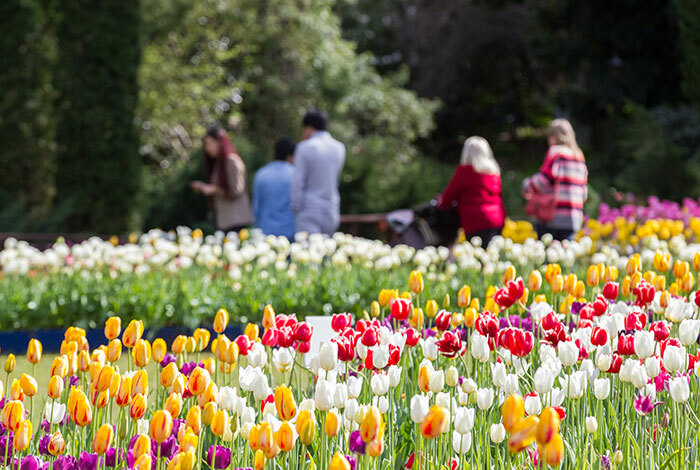 With the vast recreational areas, picnic facilities, abundance of natural scenery to explore and seasonal events and festivals, there is always something to see and do at Araluen Botanic Park. Whether you're looking to get active and engage in a bush walk exploring the flowing streams and hidden natural sights, or want to make use of the plentiful picnic areas, the Araluen National Park can accommodate. Why not host your next birthday party or social gathering amongst the botanical gardens? There are barbeque areas and public facilities, as well as an abundance of grassed areas for a picnic and games. If a picnic isn't your style, or you've worked up an appetite on your bush hike, then there is always the option to indulge at the Chalet Healy Tea Rooms. Which are open for morning and afternoon teas or light lunches. After something to eat, why not visit the Roundhouse Gift Shop for a memento or to admire the beautiful park photography. Araluen Botanic Park is a delightful place to visit all year-round and is open every day (excluding Christmas day). For a truly colourful and aromatic experience, visit the park in Spring, as during the months of August and September, the park is ablaze with the colours of tulips and other spring blooms. Pack your esky, organise the family and head to Araluen Botanic Park for a tasty meal and an unforgettable day out. Electric barbecues are provided free for use by visitors in the central concourse area and wood-fired barbecues and firewood are also available throughout the park, fire restrictions permitting. The pristine gardens offer spectacular wedding ceremony sites and an unforgettable environment for your wedding photography. If you've ever dreamed of a romantic cottage ceremony or getting married amongst nature, with a lush backdrop of greenery, then consider the Araluen Botanic National Park and its botanical gardens for your big day. If you're interested in an Araluen wedding or would like to request more information, a ceremony information package and application can be downloaded from their website. To help keep the Araluen BotanicNational Park beautiful, a small entry fee does apply. All money raised via admission fees goes straight back into maintaining the park and go to say thanks to the dedicated staff and volunteers, who are committed to ensuring the gardens are spectacular, all year-round. 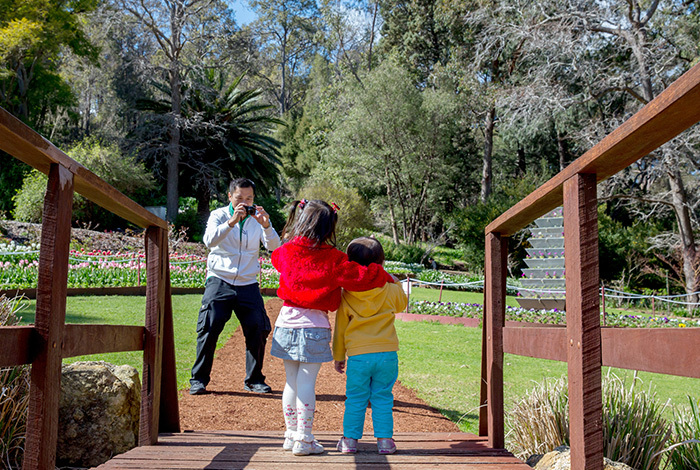 The Araluen Botanic Park is open daily, from 9am - 6pm.